State Department spokesman stresses Pompeo's visit is not intended to send any message to Israel. US Secretary of State Mike Pompeo will visit Israel ahead of its April 9 election but will not be involved in the country's domestic politics, the State Department said Tuesday, according to AFP. Pompeo said Monday during a discussion with students in Iowa that he planned to visit Lebanon, Israel and Kuwait "next week." The State Department, without giving precise dates, said the trip was planned for a little later. In any case, it will take place ahead of the Israeli election. Prime Minister Binyamin Netanyahu is facing a tough election battle as he fends off charges of bribery, fraud and breach of trust. However, State Department spokesman Robert Palladino made clear Pompeo's trip was not intended to send any message. "Israel is an ally," Palladino stressed. "We're not going to get involved in the domestic politics of another country." He added that a detailed itinerary would be announced soon. As for Kuwait, Pompeo had planned to go there in January but was forced to cut his eight-day Middle East trip short for family reasons. "This is very much the continuation of that previous trip, the (US-Kuwait) strategic dialogue," said Palladino. The US administration is continuing to prepare its peace plan for Israel and the Palestinian Authority (PA), which is set to be unveiled after the election. 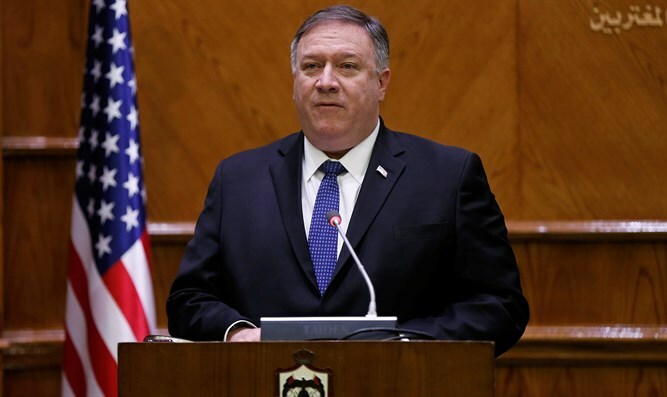 Pompeo said in January that the peace plan efforts will begin “immediately” following the Israeli elections this April. “Ultimately, the Israelis and the Palestinians will have to come to an agreement. But we think that the foundations that we have laid and the work that we’ll do immediately following the Israeli elections will set conditions where we can have a constructive conversation,” he said at the time. Details of the peace plan are not yet known, but US President Donald Trump's adviser and son-in-law Jared Kushner, who heads the team formulating the administration's peace plan, revealed several details about it last week.